This train is headed west, so make sure that you're prepared for the trip. You've got to bring fresh water, snacks, and maybe a magazine. It's a long trip. You also have to have the right look! After all, you're in charge of the whole train! 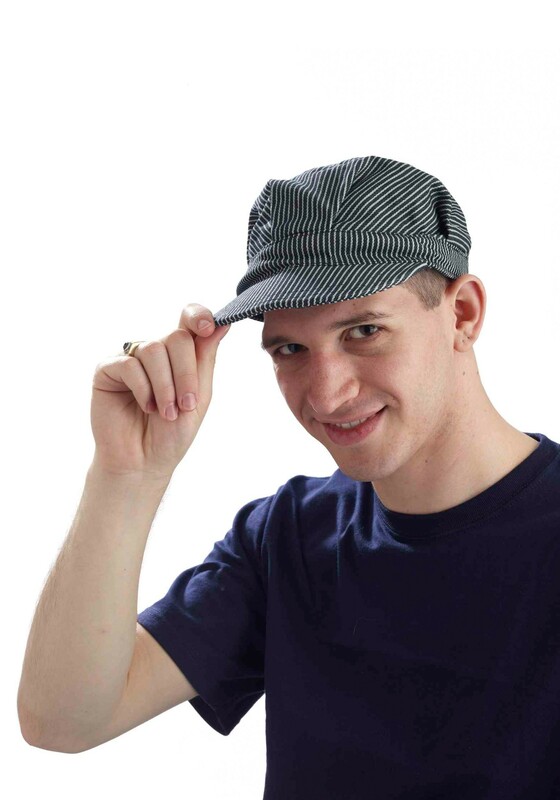 All of your underlings are sure to respect you when you're wearing this Engineer hat! We're not sure why engineers wear stripes but the classic conductor look has made such an impact that when they see your stripes everyone will know that you're the man in charge. It's not an easy job, retro trains require a lot of coal. All that shoveling is a lot of work. But hey, trains have built our modern world! This versatile hat works with many costumed looks, so get ready to create your own adventure. It has a structured bill with a band and pleats on the cap. Pop it on your head and you'll be ready to shout out, "All aboard".